With winter in full effect, it’s time to turn up the heaters, pile on the blankets, and enjoy a nice mug of hot tea to stay warm. But while you might stay cozy, your septic tank might be having a harder time staying warm this winter. Azle never gets too cold, but it can drop into freezing temperatures throughout the winter season. This could mean that your septic tank system freezes up. 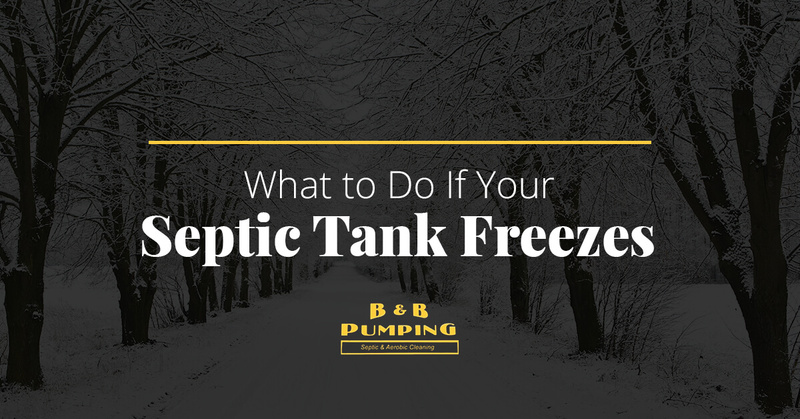 So, what should you do if your septic tank freezes? First, take a deep breath, and read through this guide from B&B Pumping in Azle. How Does A Septic Tank Freeze? It’s surprisingly common for septic tanks to freeze during winter. That’s because there are four components that are vulnerable to colder temperatures. 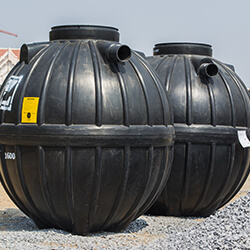 Those include the pipe that runs from your house to the tank, the pipe from the tank to the drain field, the drain field, and the septic tank itself. When exposed to persistent freezing temperatures, the water and liquids within these parts freezes. A frozen septic tank can push waste back up into your pipes, causing backups, overflowing sinks and toilets, and a host of other health concerns. What Are The Signs Of A Frozen Tank? Unfortunately, it’s fairly easy to figure out when your tank has frozen, as the signs are quite obvious. Your toilet may not flush because the pipes are frozen. The water has nowhere to go, and will not drain out of the bowl. You’ll notice that the sinks in your bathroom, kitchen, or garage are not draining, the same goes for your bathtubs and showers. You’ll also find that appliances like your washing machines and ice machines will not work. Do not add any products to the tank like antifreeze or salt, as well as the other things we told you to avoid in a previous blog. Do not let your sewage flow onto the ground above your septic tank system. Do not try and thaw the system by running hot water down your pipes. Do not try to warm the septic tank from the outside by building a fire on top of the tank site, or directing heating elements towards the ground. The best thing to do is to call your local septic tank specialist and let them handle the situation. Next winter, you’ll know to prepare your septic tank system for fall to make sure it doesn’t freeze again. But if it does, we’ll handle it the right way. We’ll carry out a full inspection of the system, and utilize products like heat tape and tank heaters to slowly thaw your tank out. We can also use steamers and high-pressure tank jetters to unfreeze the system. Need someone to inspect your septic tank before winter sets in? Give B&B Pumping in Azle a call today!